I began this duo in 2014 with Maximiliano Larrea, a professional Argentine tango and folklore guitarist. We have collaborated musically on many ensemble and educational projects, but also perform as a duet. Our instrumental and sung vocal duet repertoire spans Argentine folklore, chamamé, and tango, other popular musics from the Southern Cone, as well as North American roots music, and Mediterranean folk songs. Our repertoire grows and changes as we move from place to place and discover new sounds and traditions and new contexts for our music. We have performed on and off stages across the Americas, including at the Indiana University Jacobs School of Music Latin American Music Center Concert Series in April 2018, and as the featured concert at the Colby College Latin American Studies Symposium in 2015. Tamango formed in 2016 to perform at milongas (tango dances) in Bloomington and around the Midwest. We organized many successful events on the IU Campus in collaboration with the Mather's Museum of World Cultures and the IU Arts & Humanities Council. In Spring 2019 we plan to perform at the Albuquerque, New Mexico tango festival and hope to plan tours to the Pacific Northwest, Western Europe, and East Asia in the coming years. 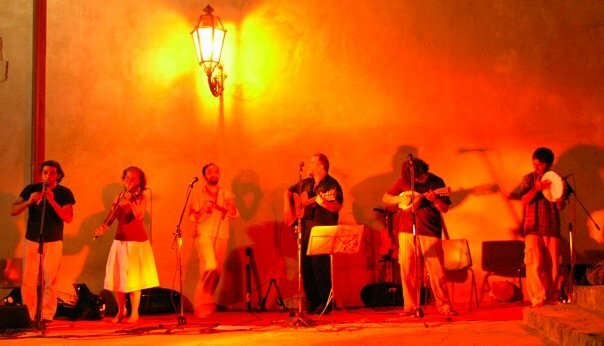 For more photos, videos and audio recordings of this band, visit our band website at www.tamango.org. This project is a community-based musical group, intended to provide live-music to our local dance community and to provide a space for local musicians to learn to play tango music. Professor Jennie Gubner and the students of her ensemble/seminar "Bluegrass, Folk and Old-Time Lab" perform the old-time tune "Old-Time Sally Ann" in the Hoagy Carmichael Room at Indiana University Bloomington, Fall 2017. Gubner learned this tune from renowned Bloomington fiddler Brad Leftwich. From 2016-2018 I ran a seminar ensemble course in the IU Department of Folklore and Ethnomusicology that brought students from across the campus together to learn about roots, old-time, and folk traditions in the United States while performing weekly as a string band. The course combined academic and applied forms of learning alongside experiential approaches to studying roots music. During the course we also worked with field collections in The Archives of Traditional Music (creating multimodal webpages and bringing archival songs to life through performance) and attended and hosted community music events from Shape Note Singing to Square Dancing. The Orquésta de Cuerdas Elvino Vardaro performs at the Buenos Aires Opera House, El Teatro Colón, in a showcase of contemporary tango compositions sponsored by the City of Buenos Aires and the 2012 Annual Tango Festival and World Cup (Buenos Aires, Argentina). La Orquésta de Cuerdas Elvino Vardaro accompanies La Sonámbula and a live painter in one of the orchestra’s monthly performances in a neighborhood performance space in Buenos Aires to showcase new tango and folk music composers (July 2013, Centro Cultural Oliverio Girondo). In 2012 I helped start and then performed regularly with the tango dance quintet Quinteto Clandestino. We played a repertoire of classic tangos and performed in leading milongas (tango dances) and theaters around and beyond Buenos Aires. 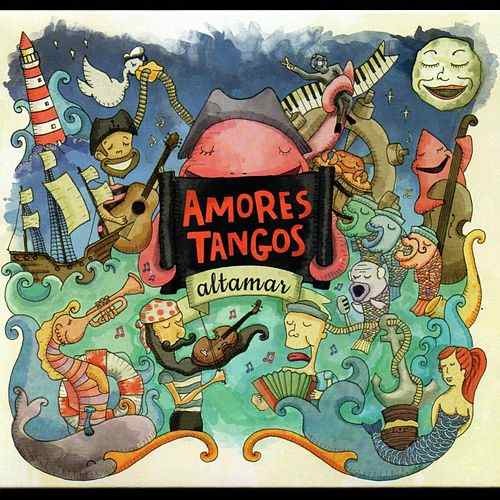 In 2013 we were invited to perform in Uruguay’s Official Annual Tango Festival. 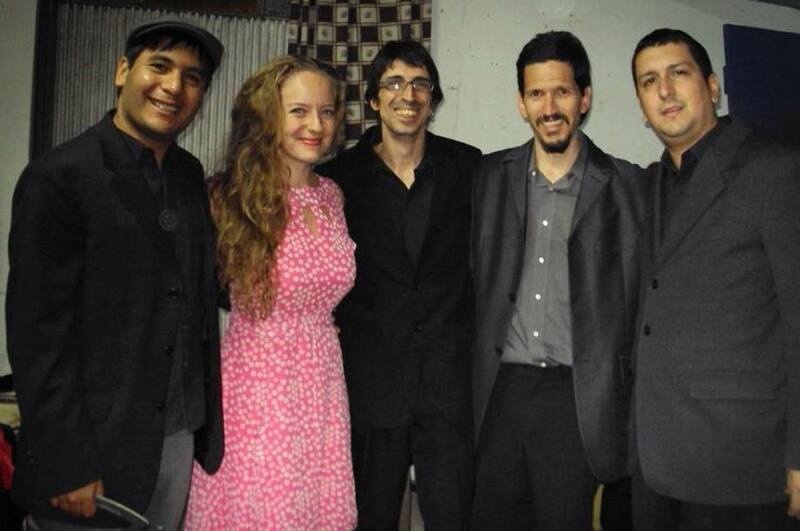 In 2013 our band was awarded a fellowship for being one of the top emerging tango bands in City of Buenos Aires. Some audio recordings from Quinteto Clandestino can be heard here. At UCLA, I ran this ensemble as a collaborative and participatory space of musical encounter where all the members were encouraged to work together to learn about American roots music while making it. Since the group had only been around for a year before I took over, I played a large part in designing the project at UCLA. Over the years the ensemble has featured banjos, guitars, mandolins, fiddles, kazoos, basses, washtub basses, saws, bones, and more. In 2011 we produced a CD which can be seen and heard here. 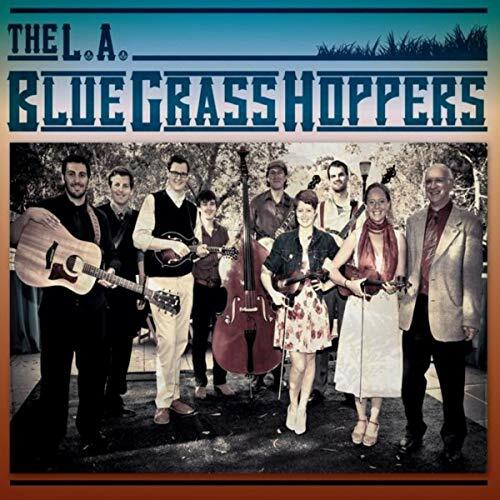 The ensemble also won first place at the Topanga Fiddle Contest in 2013 and 2014, and second place in 2012. Below are some clips to some of our concerts! 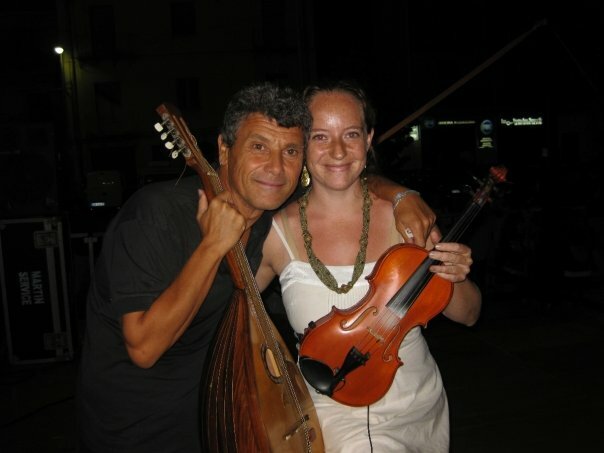 From 2006-2009 I spent much time living in Sicily living in a small town, researching Sicilian music and culture, and performing, touring, and recording with the Sicilian popular music group Carmina Solis. These experiences became the foundation of my M.A. thesis at UCLA. The following is an example of a Sicilian polka written by one of the members of the group, Socrate Gerona.